Graphic design Virginia Beach can be found everywhere in the world. From advertisements in a magazine to the artwork on a paper cup of coffee, to the logo on your sneakers, it can draw us in, or make us cringe. For any business, brand recognition is vitally important to building a consumer base that is aware and interested in your company. It is for this reason that graphic design is something absolutely essential in our lives. lors, silhouettes, and lots of ornate lettering. This style has become iconic and has stood as a timeless visual style with everything from art, architecture, and advertisements to planes, trains and automobiles! Another widespread graphic movement came in the 1960s and 70s. The Hippie culture influenced a lot of the “earth tones” of browns, yellows and oranges that swept magazine pages and billboards throughout the era. Doritos recently hearkened back to this design era with a bag design for their taco chips. Flat, unshaded letters, and a tan, orange, yellow and brown color palette really captured the 70s perfectly. The 60s had earth tones as well, and incorporated psychedelic imagery and floral patters with lots of colors. Also in terms of typefaces, bubble letter and oversized, flowing typefaces dominated proceedings. The 1980s were characterized by the “futuristic” design elements. There were many sharp edges, metallic or chrome treatments (think of any rock album cover from the era, as well as movie posters). Neon, bright colors were also definitely in vogue, and any and all references to the brand new computers and their untapped potential. All design in the 80s tended toward the angular, and the typefaces of the era (think of the film Tron, or the band logos for Metallica or Iron Maiden) were no different. It is also worth noting that through the 1980s, virtually all graphic design was done by hand, making a graphic artist a very exclusive position with only a few quality practitioners. In the 1990s, computers started being used for Graphic design Virginia Beach and while the 1990s were not a particularly influential or inspiring era (especially with album covers) this change to more computer based work was important. It meant that talented artists could create great work without having to rent studio space, and that more and more businesses could get quality work, with a greater talent pool. This current era is something I’ll call the Macbook era. 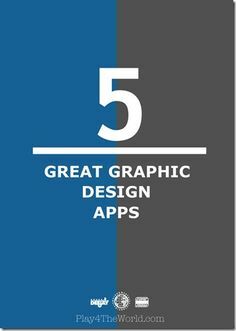 With the app market exploding for desktop, laptop and mobile computing, icons for apps are one of the most obvious ways to see this current graphic style. Simplicity that is bold, but with nuanced details and textures and just enough text are the order of the day. In the 1950s, advertisements usually carried at least two or three paragraphs of advertising copy to explain their product. Whereas now, they will carry a sentence or less (often just a word or two) with well placed color and layout and that is enough to drive consumers to a product. Apple is the master of this new style of advertising and their clean, minimalistic designs are very memorable and very effective, evidenced by Apple being the biggest corporation in the world! design you see nautical elements, mermaids and water related things, since the city is on the Atlantic Ocean and a popular vacation locale. The deer in the Jägermeister logo, as another example, hearkens to the famous Black Forest in Germany and its local wildlife. Adding touches like that can be seen as far back as race posters for Grand Prix racing from the early 20th century, rather than just focusing on the cars, elements of the scenery of the race’s location were often added as well, to build a connection between race goers and the event itself. the future of one of my favorite realms of visual art and enjoy having my Graphic Design Virginia Beach adapts to its evolution. Being a Graphic Design Virginia Beach based small business, we know that timelines and budgets are important and not an optional guideline to follow, we respect your time and your budget. We don’t re-invent the wheel for every project, and always leverage open source technology and solutions whenever appropriate to keep your costs low. If you have any questions, please feel free to contact us, we look forward to hearing from you. Let us be your website design company.